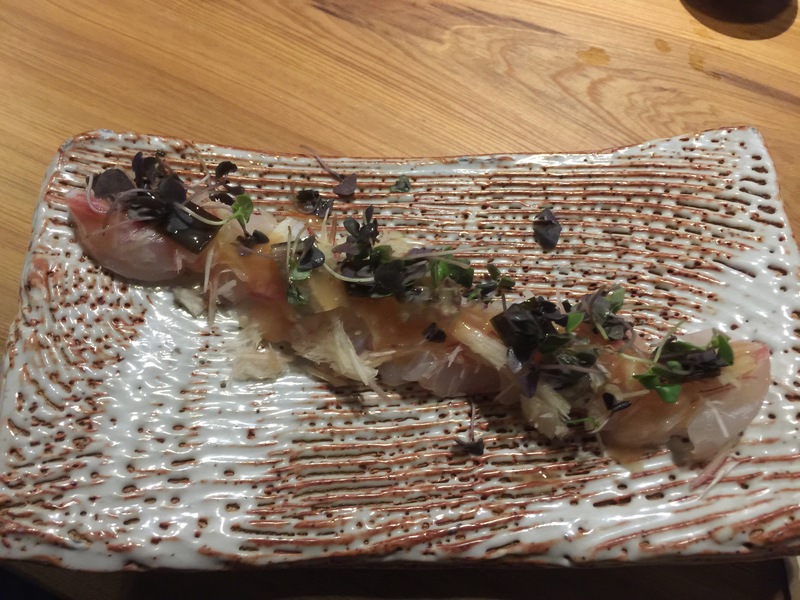 Shibumi: Does it Live up to the Hype? I was apprehensive. Lots of great reviews, yes, but the majority of Los Angeles Japanese Restaurants that get great reviews tend to be very pretty but with bad personalities. And this one was run by a Gaijin. Although…David Schlosser did study in Japan for 15 years. 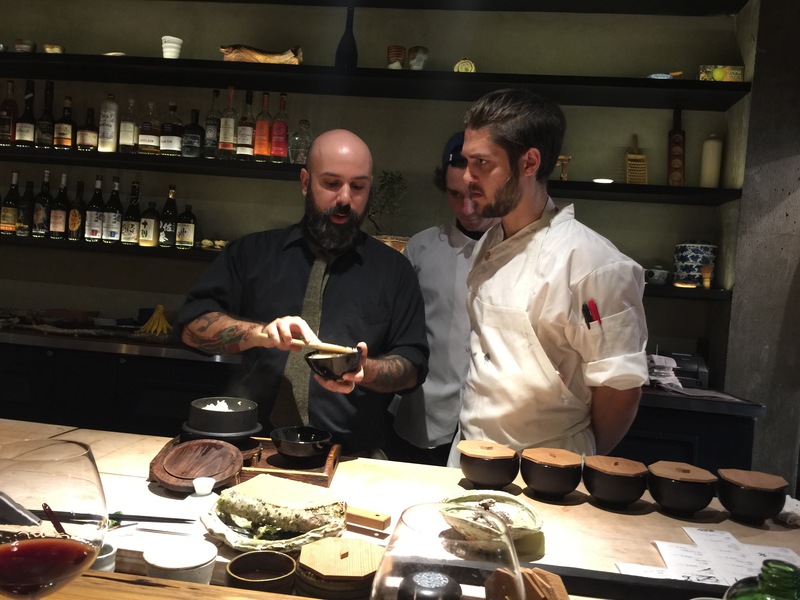 David Schlosser’s experience includes great LA restaurants, but he also worked at Ginza Sushiko and Urasawa, as the embassy chef in Tokyo, and Arashiyama Kitcho in Kyoto. Not too shabby. The menu and pix looked great. And a Japanese friend who went swore it was not like the other “top 10 sushi” restaurants that have sold out to a heavy-walleted Los Angeles crowd. LA likes it bold and swimming in fake wasabi and soy sauce soup, ideally with extra jalapenos and truffle oil. 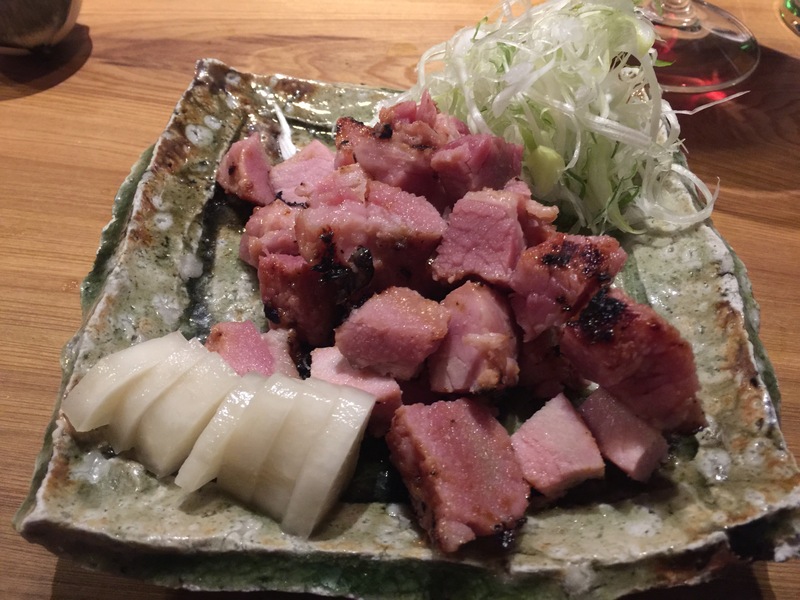 And Shibumi self-identified as a Kappo Ryori.Not an izakaya, not a gastropub, not a sushi bar. Who does that, except someone who truly understands what that means? Could this place be legit? So we went for our 30th anniversary of our first date. I was happy to be able to change our 9:30 reservation to a more sane 8:30. Vosne Romanee burg in hand, we opted to pay the reasonable $25 corkage and order some Sake off the menu. American Express Platinum, besides getting us a better reservation time, also arranged for us to have what we considered the best seat of the house, counter seats on the right where all the kitchen action is going on. 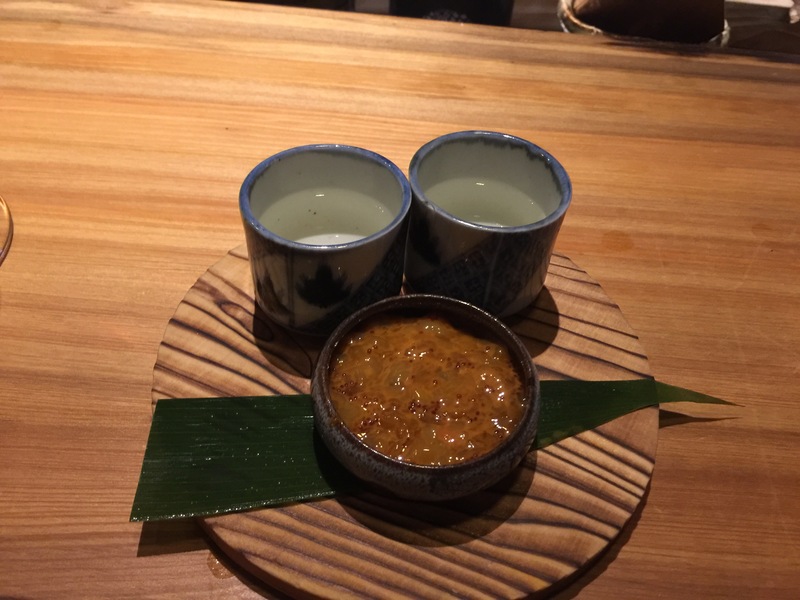 At a Kappo, this is ideal as one of the most enjoyable parts of the evening is interacting with the Chef and staff as well as enjoying the food. Then my fellow Japanese food snob hubby and I began the assessment. The restaurant is tiny with a handful of tables and a counter that seats about 15 or so. At first glance, it looked any other hipster joint downtown, and that fit the description of who was seated at the tables. 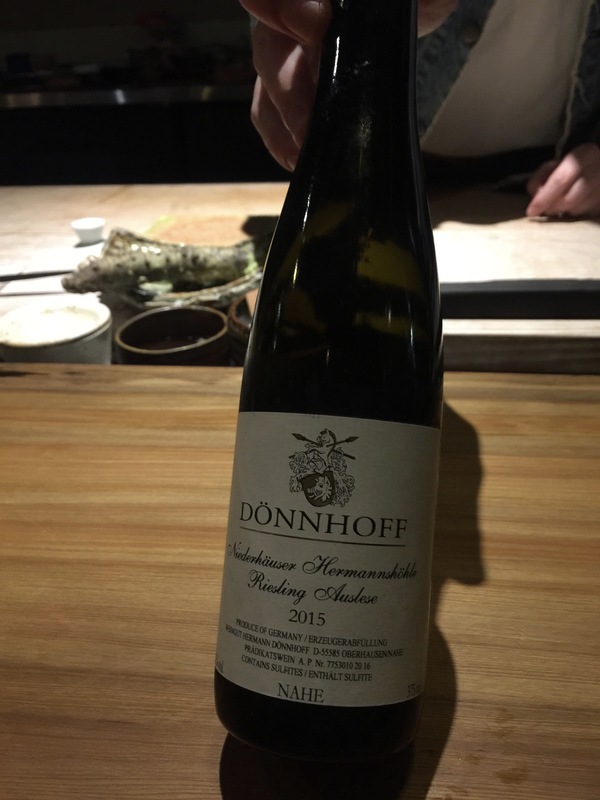 I asked about the Sake and a very sharp, well-informed gentleman was able to go into great detail on all the options and steered us to get one I would not have typically ordered and it was perfect. He is studying to become a Sake Sommelier and he knew my famous friend Yukari Sakamoto (Food, Sake, Tokyo author) well. First test passed with flying colors! Then I gently stirred the waters a bit with offering up a standard greeting in Japanese. Chef’s face lit up and we engaged in conversation. We regaled him of our recent travels all over Japan, he was interested and asked a lot of questions. He shared his Japanese travels and experiences as well as his philosophy with us. We knew there would be no more tests needed even before we tasted the food. 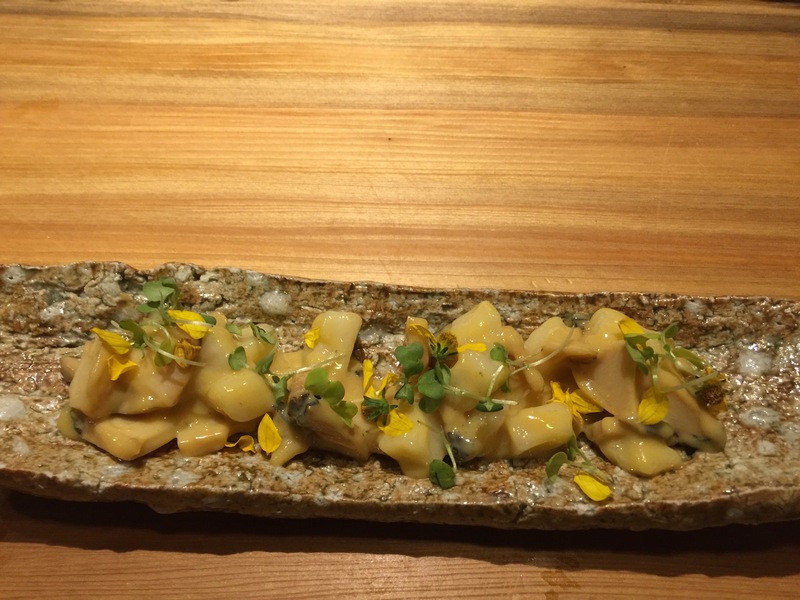 Chef spoke of seasonality and umami and of attention to detail. We tasted and experienced that and more. And perhaps most important to me, a subtle hand. This last point was especially important as the lack of it it is why I reject many of the local japanese restaurants here as they are anything but subtle. I get frustrated at the restaurants where not just the Tare but even the sushi rice is far sweeter than what you find in Japan. The beautiful proteins and veggies get lost when that happens. 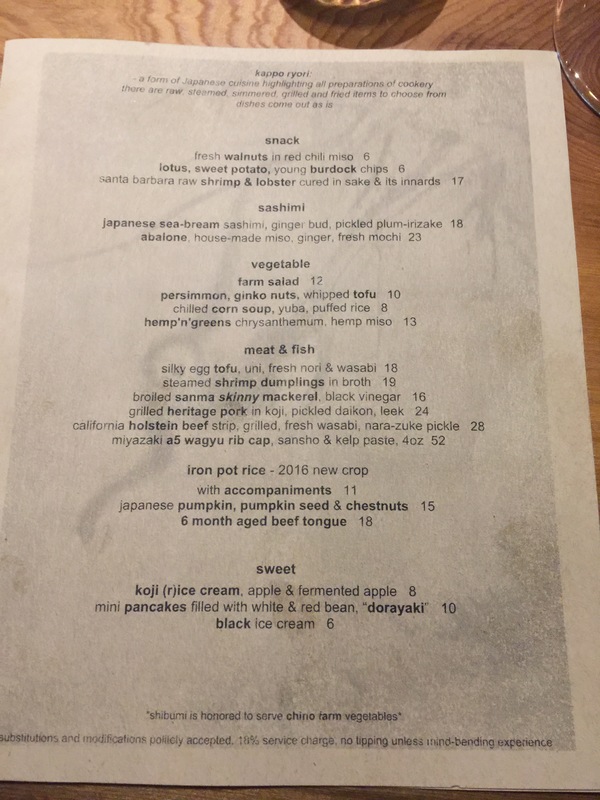 Perhaps that is no accident because the other complaint I have with many LA Japanese restaurants is the lower quality of the ingredients and the technique used to execute. Not Shibumi. The menu is limited, and that is a good thing. He uses the best of what is seasonal and what is special. By focusing on a few items, he is able to master them. 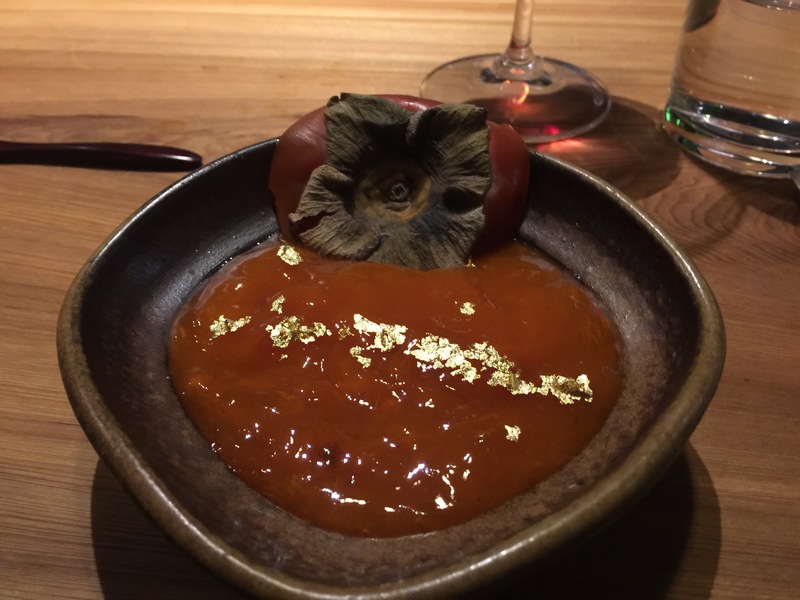 In order to achieve complex and pure flavors, elegance and simplicity are key, and that is what you get at Shibumi. 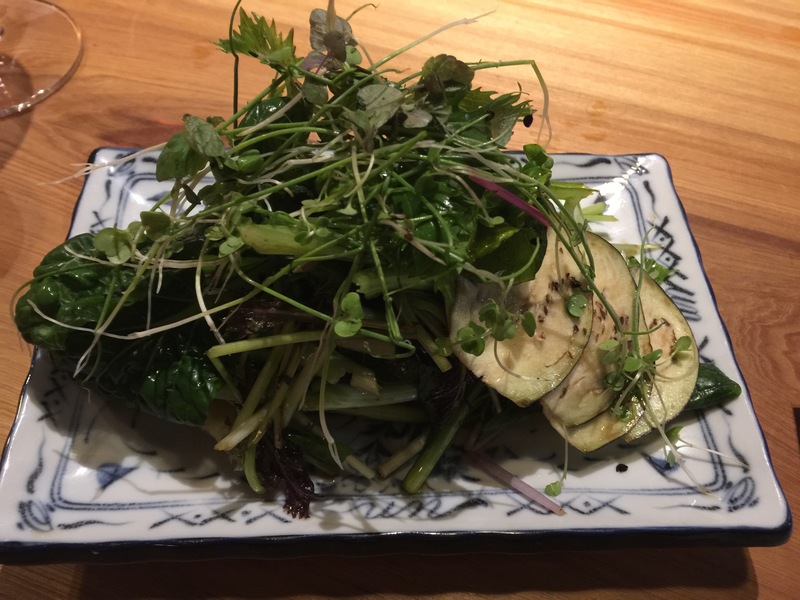 He carefully sources and the proteins from the best suppliers, and the produce is from a local farm. 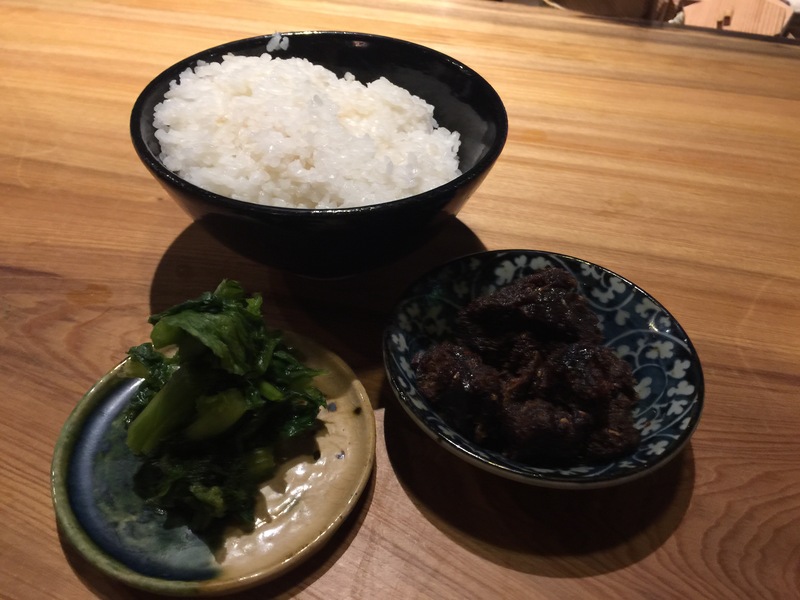 I think Shibumi is on its way to someday reaching the level of what I consider the best Japanese restaurant in LA, Shunji. It is one to watch. I look forward to my next return. Persimmon, Ginkgo, Tofu. Reminded me of dishes I had in Tokyo and also Shuni. Having something at the peak of season is really special. 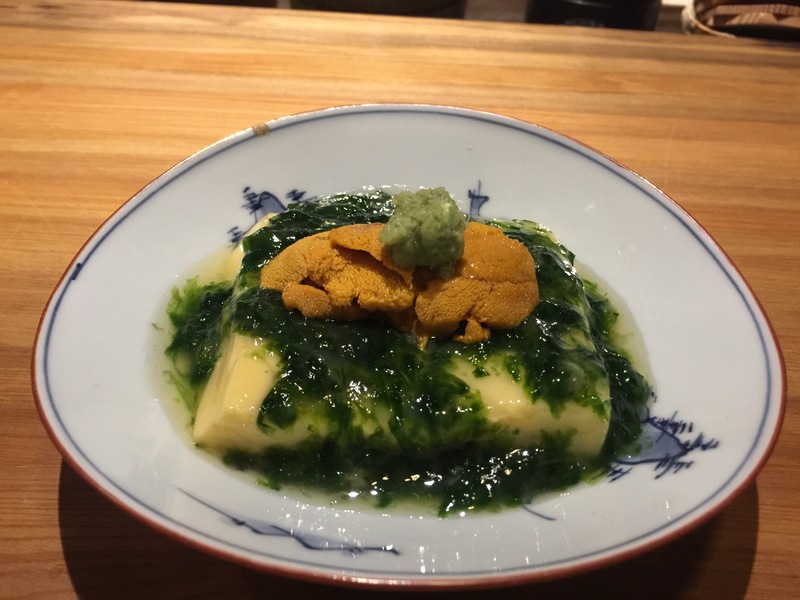 Famous Egg tofu and uni dish, I was so inspired by this I went home and ground up some nori to see if I can reproduce some of the flavors in the sauce. Creative and authentic. Again, the very peak of season Sanma and its skeleton. Again pleased that the sauce was complex and not too sweet! The Heritage pork and Koji was special. Look how pink! The flavor and texture was sublime. Koji emparts it with with umami saltiness instead of smokiness. This was the only miss of the night. 6 month aged tongue (gyu tan) was too well cooked and very very sweet. I appreciate the technique here but it just wasn’t something we enjoyed. The iron pot rice that accompanied it was amazing, however. I want to try it with a different protein and sauce next time. A gift for us for our anniversary and to accompany the persimmon. This was off menu and is something you only see in Japan. This is fruit. 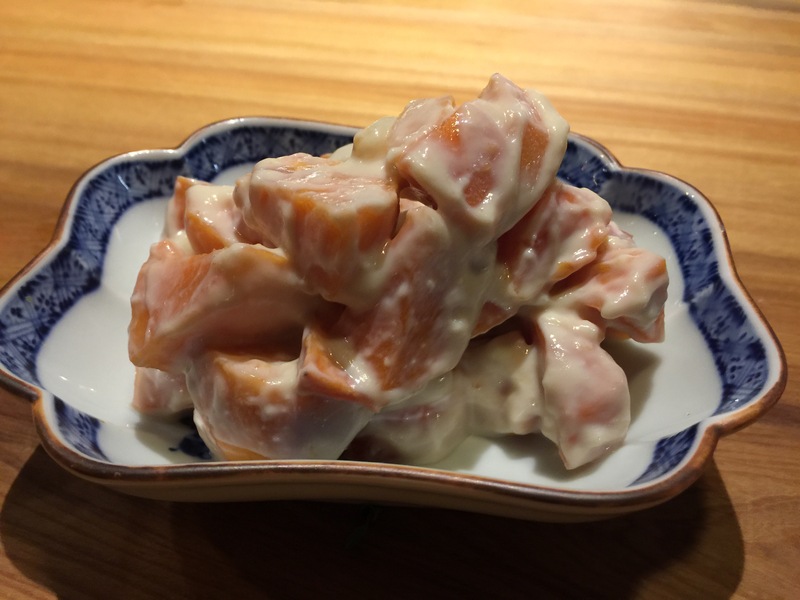 Specifically, a perfectly prepared hachiya persimmon. What was added to it? Nothing! This is not done in LA. It was perfect. 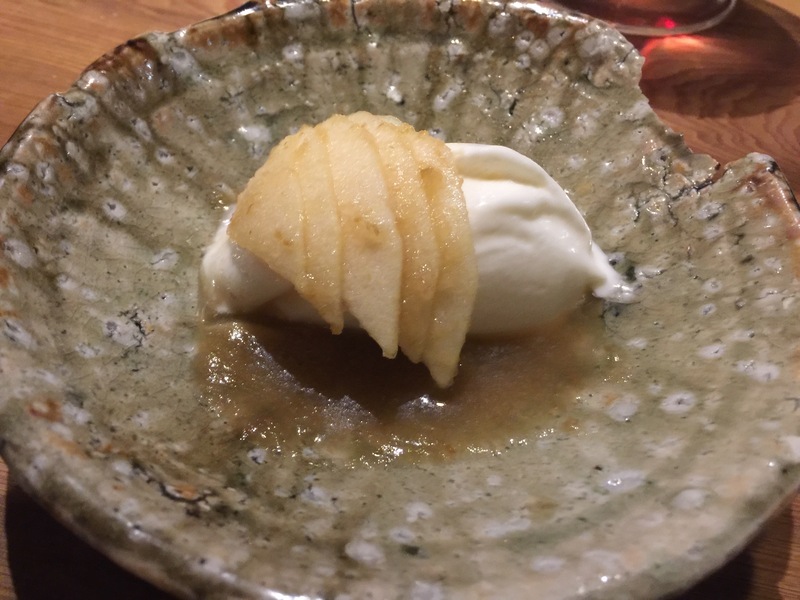 Another gift – Koji ice cream and apple slices. A perfect ending to a wonderful meal. 815 S. Hill St., Los Angeles, (213) 265-7923, shibumidtla.com. Jesse, the sommelier! Lucky you to have met him. 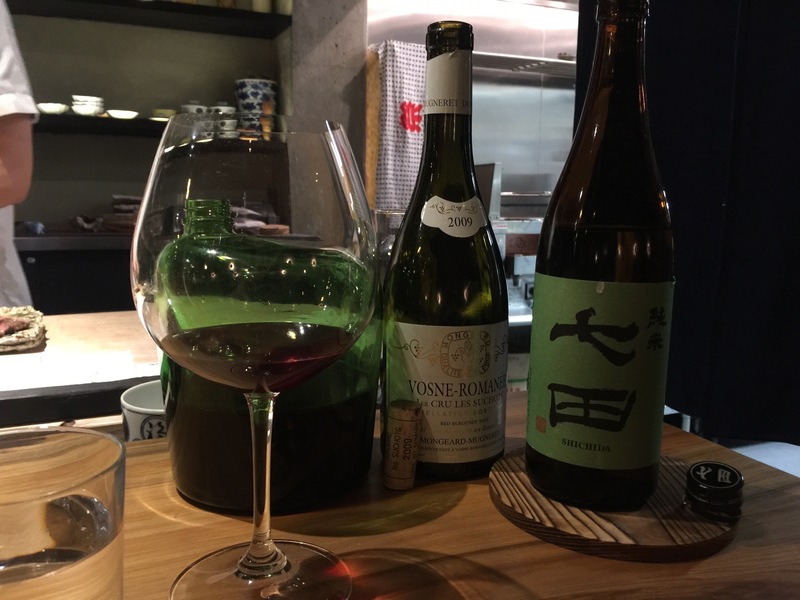 From our conversations, I can tell that he has a great palate for food, wine, and sake. 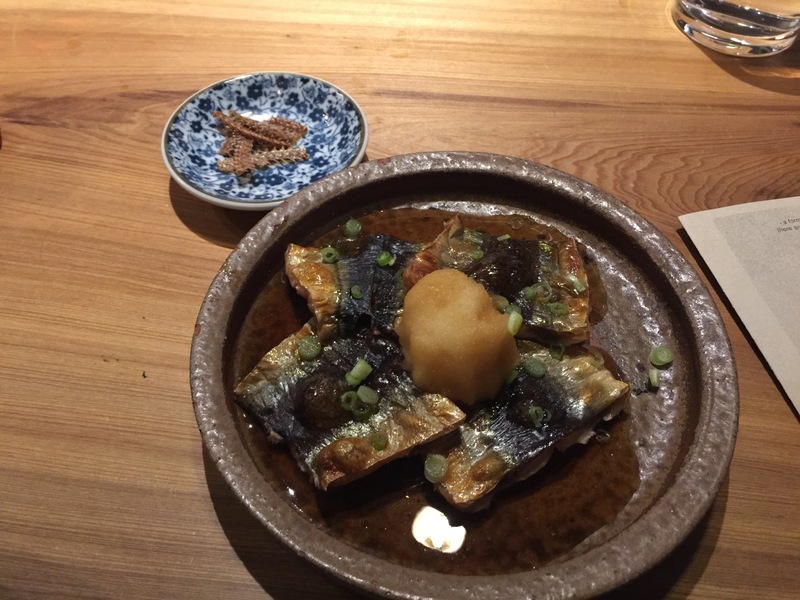 Totally agree Andrea, one of the few restaurants in LA where I felt like I was back in Japan.